After a night in the citizen hotel, we’re on the road and headed to the city of Eureka. A day at the beaches and the redwoods beckons, as we work our way up to the return leg of the journey. The highways are empty and the heat is on, with a high of 99, were most assuredly out of the mountains. Not a lot to say at this point, but we should be passing through fort Bragg in a few hours. More updates to come. 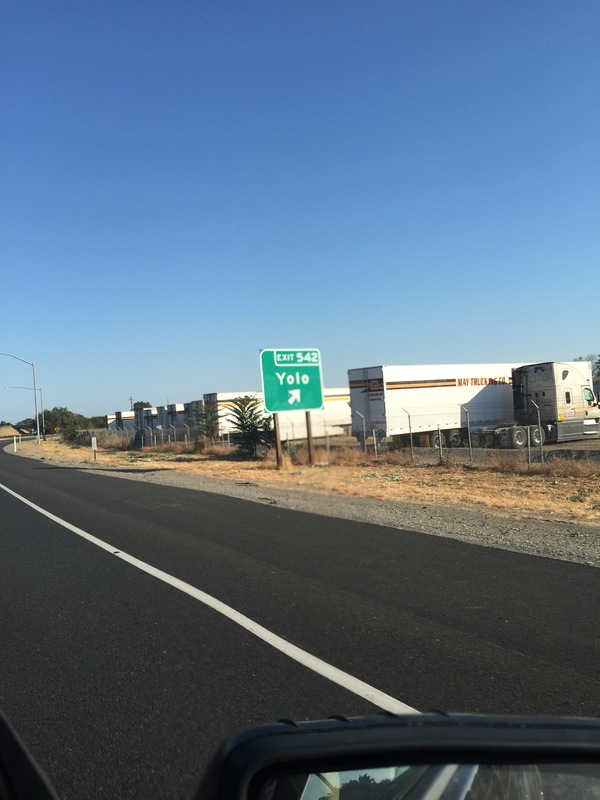 Tertiary update: just passed the town of yolo. Heh. My apologies for the missing update, there was a 12PM but it mysteriously disappeared when I updated the page just now. We’ve made it into Eureka and are rather shaken by it. The air is frigid and the whole town is covered by one giant cloud, obscuring everything past the horizon. It feels like one of those towns from horror movies where you enter and every time you leave you find yourself back at the start. The people seem to all be lost in their own world, wandering around the streets aimlessly, most of them with dogs of some sort. I’ve seen a center for spiritual living, multiple palm readers, and some other generally odd things. The sky here seems just as confused as the people, over cast in some places and with weird pillars of cloud elsewhere, it’s rather unsettling. Really the whole town feels like something out of a weird horror show, where a lone cop is sent to investigate mysterious circumstances and ends up being eaten by the locals. We’re headed now to the red woods, hopefully there we will find some tourists, or hikers, or really anything that passes for the social norm.